Check out Tobi's Nikki Off Shoulder Sweater Dress Here's the best way to show some skin, even when it's cold out. 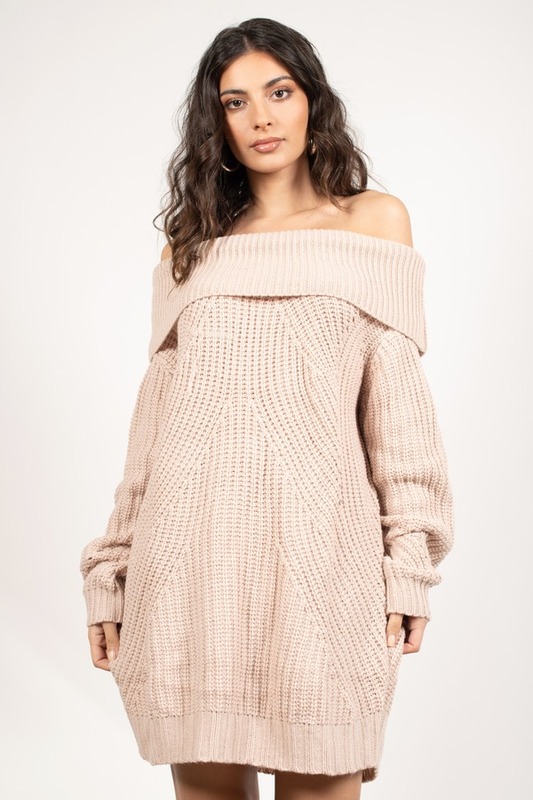 The Rose Nikki Off The Shoulder Sweater Dress has a chic oversized fit with an off the shoulder foldover neckline on a chunky knit. Just add leggings and you're ready for a stylish winter.